Chinese insurer Anbang has agreed to buy a US luxury hotel collection from private equity giant Blackstone for a reported $6.5bn (£4.5bn). Blackstone is selling Strategic Hotels & Resorts, which owns 16 properties including the Four Seasons resorts in Arizona and Wyoming, just three months after buying the company themselves. The deal marks the biggest US property purchase by a mainland Chinese buyer. Anbang is also part of a group seeking to gatecrash a separate hotel deal. US hotelier Marriott International said a consortium led by Anbang had made an “unsolicited” offer for Starwood Hotels. Marriott and Starwood agreed to merge in November in a deal that would create the world’s largest hotel chain. 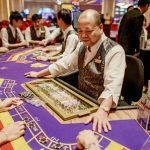 However, the Anbang-led consortium has offered $76 a share in a proposal worth about $14bn to outbid Marriott for the company. Marriott said it was “still committed to the deal” ahead of shareholder votes on 28 March. Chinese firms have been buying overseas assets despite the slowing economy. Mainland investors have been snapping up prime US properties and other overseas assets to diversify their holdings amid concerns about weakness in China’s economy. 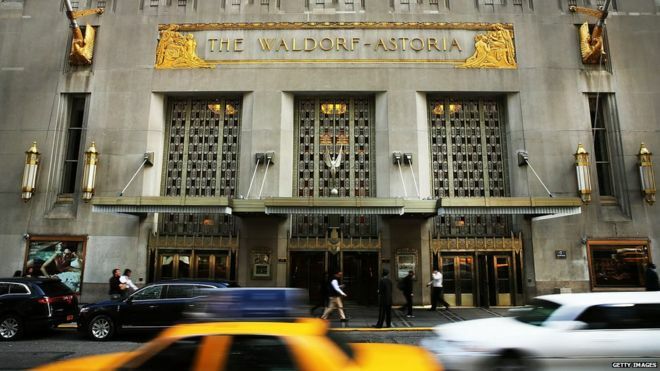 Anbang bought New York’s famous Waldorf-Astoria from Blackstone for a record $1.95bn last year. The Beijing-based company also owns office buildings in New York and Canada and a South Korean insurance company. It tried to buy Portuguese bank Novo Banco last year, but that fell through because of political objections over the sale of a systemically important European lender. Last year, Chinese outbound acquisitions hit a record $108bn, according to data provider Dealogic. However, that amount is on track to be overtaken, given that more than $84bn in deals have already been made so far this year, including the $43bn purchase of Swiss agri-firm Syngenta by ChemChina.